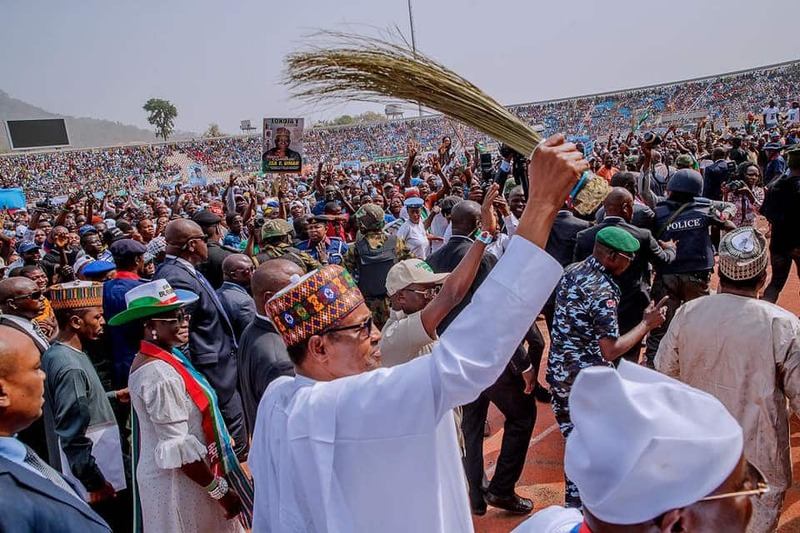 The All Progressives Congress (APC) said it has uncovered plots by the opposition, Peoples Democratic Party (PDP), to release fake videos to create fear that President Muhammadu Buhari is sick ahead of election. The spokesperson of the Presidential Campaign Council of the APC, Festus Keyamo (SAN), made this allegation in a statement sent to Legit.ng. Keyamo said two of such fake videos have already been released with one of them parading a fake nurse claiming that President Buhari is too sick to rule for another four years. Keyamo said: “In a move reminiscent of how the PDP hired Cambridge Analytica in 2015 to scare voters from voting for President Muhammadu Buhari, we understand the PDP is at it again a few days to the actual voting day. Keyamo said there are other fake news and videos the opposition party planned to released in the coming days to influence the poll. He said: "The other fake news lined up for the next few days by the PDP and Atiku’s handlers would consist of similar doctored audios, videos and fake news with no link to credible news sites. Our advice to the leadership of the PDP is that Nigeria must not burn because of their selfish ambition. Enough damage was done from these kinds of narratives they pushed out in 2015 from which we have not fully recovered till date. "The election will come and go and Nigeria will remain one united, indivisible entity. We are shocked that the panic mode of the PDP has gone into overdrive, prompting them to push out such reckless fake news. We wish to advise the leadership of the PDP that in order to reduce this type of panic and desperation on their part in 2023 (that is, if they survive as a party), they must find something meaningful to do outside government patronage after they lose the 2019 election." Meanwhile, Legit.ng earlier reported that the purported endorsement of the presidential candidate of the Peoples Democratic Party (PDP), Alhaji Atiku Abubakar, by the Middle Belt Forum, has been denied by a spokesman for the forum. Gowon Egbunu, the director of media and publications for the forum, stated that there was no time at which Atiku was endorsed.